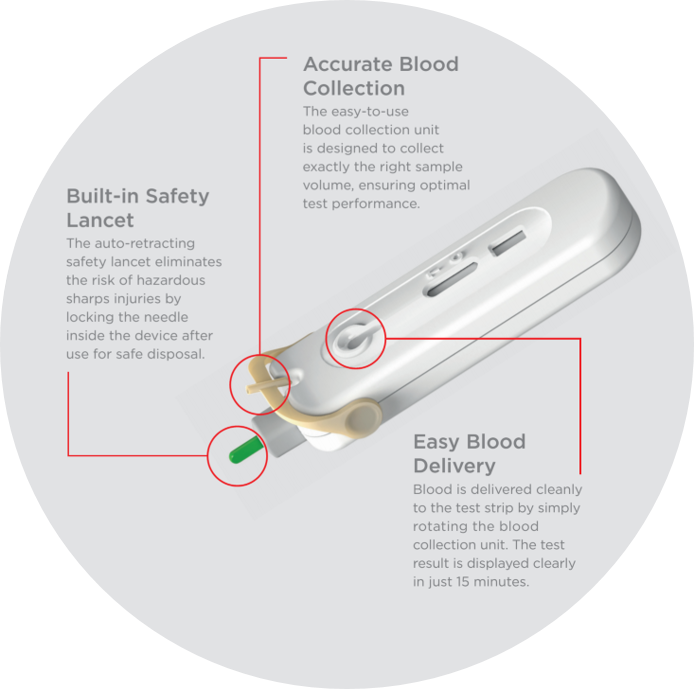 The Atomo HIV Self Test is discreet, easy-to use, and highly accurate. You can perform the test yourself in the privacy of your own home or wherever you feel comfortable. You will be able to read your results in just 15 minutes. The HIV Self Test is a small cartridge that contains a test strip. The test is a finger prick blood test that only needs a small amount of blood, results will be provided in less than 15 minutes. 2. How Accurate is the test? The HIV Self Test has been shown in laboratory testing to correctly identify 99.6% of HIV negative and HIV positive samples. Like other HIV tests, the Self Test may not detect HIV that is recently acquired. For the HIV Self Test, the window period is three months. This means that the test may not detect HIV that has been acquired in the last three months. If you think you have been exposed to HIV in the last three months, it is important to speak to a doctor or visit a sexual health clinic. 3. What happens if I get a positive result? While the Self Test is very accurate, it is still a screening test. Because it is a screening test, getting a positive result does not necessarily mean you have HIV. If you have received a positive result on the Self Test, it will still need to be confirmed with further testing by a doctor. You can refer to the support link on this site for more information about accessing follow-up testing. If you receive a positive result with the follow-up testing, it is important that you speak to a doctor about starting treatment. HIV is a manageable condition, treatment today is very effective and those living with HIV are able to live long and healthy lives. ©2019 Atomo diagnostics. Go to our main site here. How many kits would you like to purchase?